PARTY people unite at Calliope today as the town welcomes the opening of its first party supplies shop. Calliope Gift, Garden and Party will throw open its doors for the first time after husband- and-wife combo Helen Dean and Noel Skinner put the finishing touches on the store. Helen, who has worked in security around Gladstone since 2006, said a lifestyle change was behind the decision to set up shop. "We used to have garden ornaments and a little bit of giftware and go to markets, and we did alright with that," she said. "Even though we had a little bit of a break for a while, we decided just to expand because we think Calliope needed something. "There's nothing like this out here." The retail outlet sells more than just party supplies, with giftware, cards, garden ornaments and more available. The shop will be mostly run by Helen, while Noel continues his work as a boilermaker at Boyne Smelter Limited. The dynamic duo have already hit the ground running with feedback on social media. "We did a little bit of advertising on Facebook and got a few likes on there. And a lot of people shared it as well," Noel said. 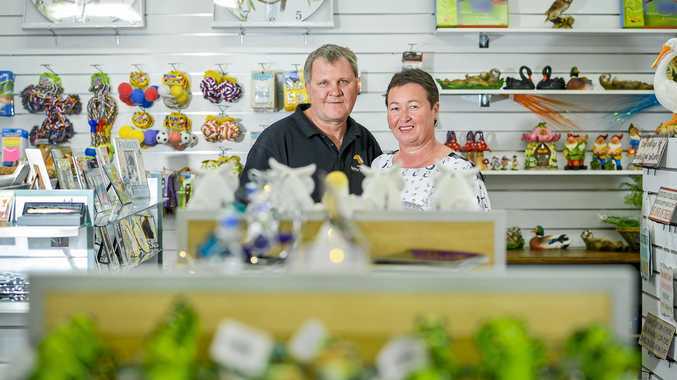 "There's a few shops here like the hairdressers, a little eatery and the bakery, which gets a steady flow of traffic during smoko and lunch breaks. "We hope everyone will get down and support us." Calliope Gift, Garden and Party will open weekdays 8.30am-5pm and Saturday 9am-2pm at Shop 2, Drynan Dr.